As we get ready to file income taxes, we realize how many tax documents we have to track and gather to properly file our taxes. We come across these tax related documents throughout the year, which we need to preserve for filing taxes at a future time. Although most of the tax documents such as wage and interest income amounts are automatically sent to us toward the end of the year, we accumulate various tax related documents all year long that we’ll need for filing income taxes for the year. Such documents may include charity donation receipts, vehicle license fees, and business expenses. As we gather and accumulate all types of tax related documents, we must be well organized to make sure we don’t lose track of them and be able to easily locate all of them months later. Organizing documents has two main purposes; first we can save time by locating them quickly when they’re needed, and second, we can be sure that we have all the necessary documents for a complete and accurate tax filing. One of the added benefits of organizing documents is that they can come handy for other financial transactions when they’re needed. For example, we may have different folders for various categories of documents that we receive in the mail or collect as part of transactions such as donations or gas receipts. Some of the document categories that we can maintain in various, secure and well-marked folders include mortgage statements, bank statements, credit card statements and taxes. Each year, we should create a tax folder called (Tax YYYY) in which we place all our tax papers for that year which we can use to properly file taxes. Once taxes are filed, we can place a copy of the tax return in that folder along with the supporting documents and start another tax folder for the following year. Other document folders can be ongoing and never expire or need a replacement folder for the new year like the tax document folder. We just need to maintain the ongoing folders to make sure they don’t become useless thick folders but rather very useful when needed with the latest information. For example, when you apply for a new mortgage, you are asked to provide the latest bank statements, which you can easily and quickly provide if you keep track of your statements in an organized manner. Having the complete tax documents organized in a folder will ensure we file our taxes correctly and based on complete documents thus a) potentially maximizing our refunds, b) minimizing any tax audit possibility because we failed to file taxes correctly or c) passing a tax audit because we are able to provide the supporting documentation. In conclusion, to get started with organizing your tax documents or any other documents you maintain, buy a secure file cabinet that you can lock and which is preferably fireproof if your budget allows for it, then place well marked folders for your various document categories and start placing your documents in their specific folders as they come in. We can usually keep all documents including the bills we receive in the mail in our purse or briefcase and about once a week, we can place them in their respective folders after we pay the bills. We can also continuously maintain the folders by throwing away old and unneeded documents from time to time. These efforts are not very time consuming if we routinely organize our documents. 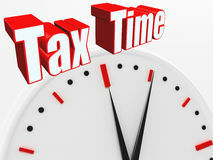 In fact, our efforts can save us a lot of time during tax time. Although we might put off document organizing once in a while, it’s a task that can save us a lot of time at the end. Organizing the tax documents that we start receiving almost daily at the end of each year is specially a very important task for making sure our tax information is complete and properly filed. See the latest articles after reading about "tax documents".